Harrison & Griffiths are a small, friendly, family run business, located in Nottingham. They have a combined total of 12 years baking experience and often attend events to sell their cakes. Their existing website wasn’t working and was not making many sales as customers had problems purchasing their products. 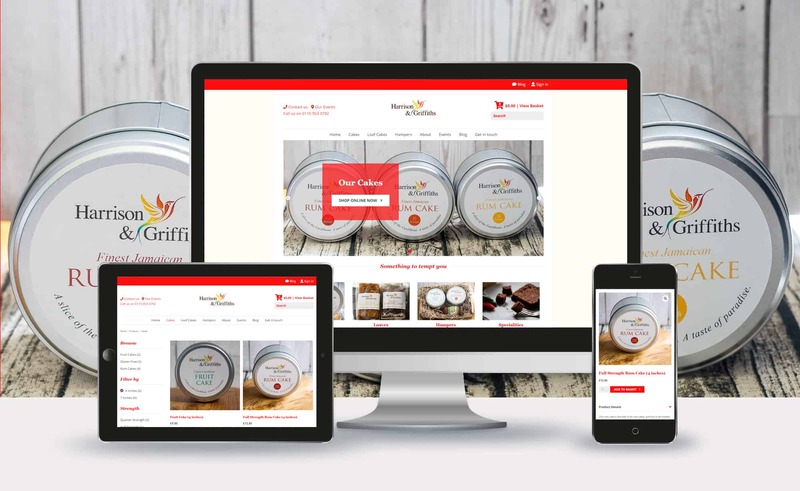 We re-designed and developed a brand new bespoke website that allowed customers to easily and securely purchase what they wanted. We also included an events section and blog that allowed customers to see recipe ideas and new events to see where they appearing. Already the new website has improved sales by 150% and we will continue to work with Harrison & Griffiths to grow their business for another 12 years.